Dreams can be manifested, but you must believe in them, a vision board is a physical tool to help visualize. A vision board is a collection of images representing our desires and intentions, which are glued onto a poster board. That's the first step, the second and ongoing step is to look at your creation as often as you can and with as much positive emotion as possible. You are the person you want to be. You can get the things you would like to have. The more effective it will be……………. The feeling, or the "vibration of success", is what makes it work. Please leave reality behind and start to go on a treasure hunt to find your "hibernating dreams" and passions. Give yourself the gift to discover the parts of yourself that are hidden and forgotten under habits, practicalities, perfectionism and routines. If you want to be happy, you have to know and accept who you are. The creative self is playful, kind, loving, courageous and full of adventure. If you accept and invite these parts into your life, you will find happiness. They are there, the task will be: to open up to them. •What do I love to do? Sounds like a difficult task, but it's not, it just takes time. You discover yourself one step at a time. 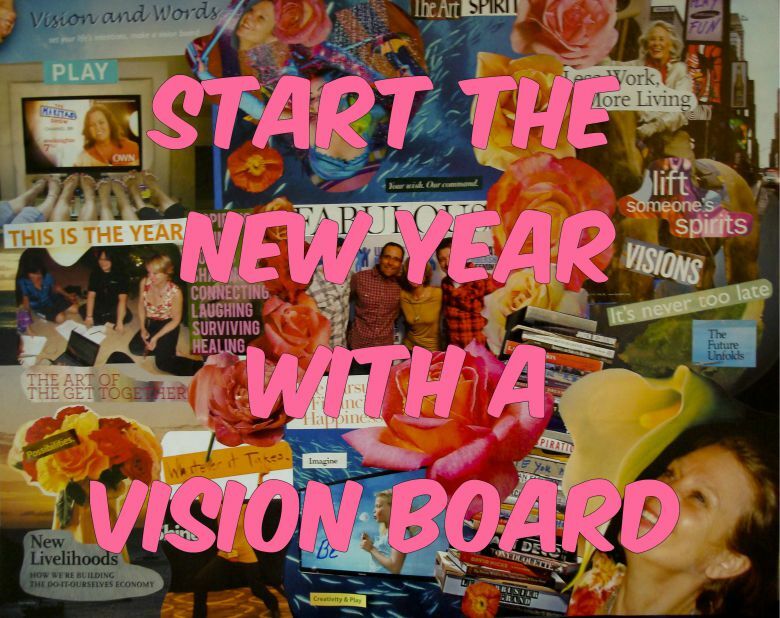 If you make a vision board it will help you. Take a deep breath, do a little meditation, put on some soothing, inspiring music and get going. Dive into a deeper, wiser part of yourself and play. The images will find you, trust the process. Dive into the world of dreams and fantasies and see what happens.